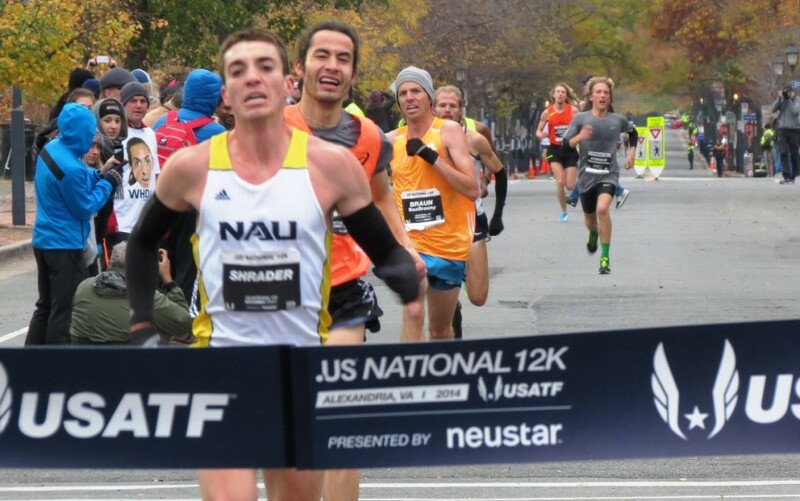 – NAU senior Brian Shrader, talking about his goals for the upcoming track season after his recent breakthrough race, winning the .US 12K Championships. Being a high achiever and chasing my goals has left me alone and depressed. Would adding cycling to my routine improve my running fitness? I flushed a baby water mocassin down the toilet--is there any chance it can swim back up? Any thoughts about the Star Wars VII Trailer? Garrett Heath Wins Silicon Valley Turkey Trot In 13:52 Over Pat Casey (13:53) And Diego Estrada (13:53) Ethiopia’s Buze Diriba won the women’s race in 15:33 over Emily Infeld (15:42). Stephen Sambu Beats Lawai Lalang In Oyster Bay Turkey Trot 5K Sambu became the first person to run sub-14 on Long Island with 13:42, beating Lalang’s 14:03. Maegan Kritchin won the women’s race in 16:42. Zachary Ahart (24:30) And Morgan Burrows (29:10) Win 119th Annual Buffalo YMCA Turkey Trot 8K With its first running in 1896, it is the oldest road race in the US. *RIP: Tom Donnelly, Organizer Of America’s Oldest Race, Dies At 61 Donnelly, a 2:35 marathoner, died unexpectedly just 2 weeks before what would have been his 10th year as RD for the Buffalo YMCA Turkey Trot 8K. *Jamaica Only Has One Medal At CAC Games Raymond Brown got bronze in the shot put. New Roof Taking Shape On London Olympic Stadium Work is supposed to be completed ahead of the five Rugby World Cup 2015 matches it’s supposed to host next year. IAAF Work, Rest And Play Q&A With Jason Richardson Richardson is a former 110H world champ, but came from a 400H background so doesn’t mind 300 or 500 repeats in training. He hates 150s, though. UK 400 Runner Victoria Ohuruogu Talks About Running In The Shadow Of Her World And Former Olympic Champion Sister Christine Ohuruogu At 21 years old, Victoria’s PR is 52.62. Christine’s PR when she was that age was 50.50. US Visa Problem For Her Husband Ruins Nigerian Sprinter Blessing Okagbare’s Honeymoon He was supposed to travel back with her to LA where she is based. IAAF Work, Rest And Play Interview With Diamond League LJ Champ (But Also US 100m Champ) Tianna Bartoletta (Madison) Her least favorite workouts are anything over 200m and her favorite book is The Alchemist. Cuba’s 3-Time World Hammer Champion Yipsi Moreno Retires At 34 Years Old She went out in style, winning gold at the Central American and Caribbean Games setting a meet record with 71.35m. Thursday In Long Island: Stephen Sambu Vs. Lawi Lalang At Oyster Bay Turkey Trot Sambu is trying to become the first person to run sub-14 on Long Island to raise money to bring clean water to Kenya. Please consider donating on CharityBets here. 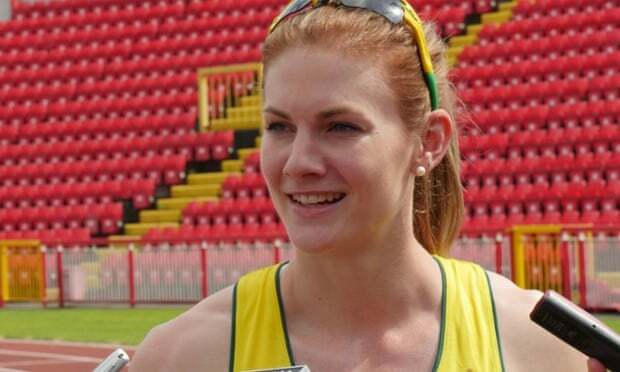 2008 US Olympian Amy (Yoder) Begley Named Coach Of Atlanta Track Club Begley has been assistant coaching at UConn and had two athletes compete at NCAAs this past weekend. *More From Denver Post: Stanford’s Elise Cranny “Pretty Disappointed” With Her 12th-Place Showing She was the top frosh and one of just 3 frosh All-Americans. *GB’s Former Overweight Smoker/Drinker Steve Way Was 13th After Dealing With Stomach Problems More on Way’s inspirational story here. Jim Spisak (23:41) Just Beats Out Dirba Degefa Yigezu At Rothman Institute 8K As Part Of Philadelphia Marathon Weekend Alice Kamunya won the women’s race in 26:21 over Kerri Gallagher (26:26). Leo Manzano Added To Field For Camel City Elite Mile In January (link fixed) Previously announced were Will Leer, Cory Leslie and Matt Elliott. A Must Watch: ESPN Video On Recent High School Graduate Kayla Montgomery, Who Became A State Champion While Battling Multiple Sclerosis Very inspiring and worth a watch. Her legs go numb during every race and she has to have someone at the finish line to catch her or she’ll go down. Steve Magness Talks About The Cool-Down – Why Do We Do It? Basically the science behind the cool-down isn’t clear, but you should do it anyway. *MB: How important is a cooldown jog after hard running? Bahrain And Qatar’s Barefoot Running, African-Born Runners Dominate At Asian Beach Games Ethiopian-born Bilisuma Gelassa of Bahrain won the men’s race over Awake Yimer. It was so easy for them that they kept going for 400m after the finish until an official stopped them and told them they had won. Bahrain’s Ethiopian born Tajitu Chalchissa won the women’s race. 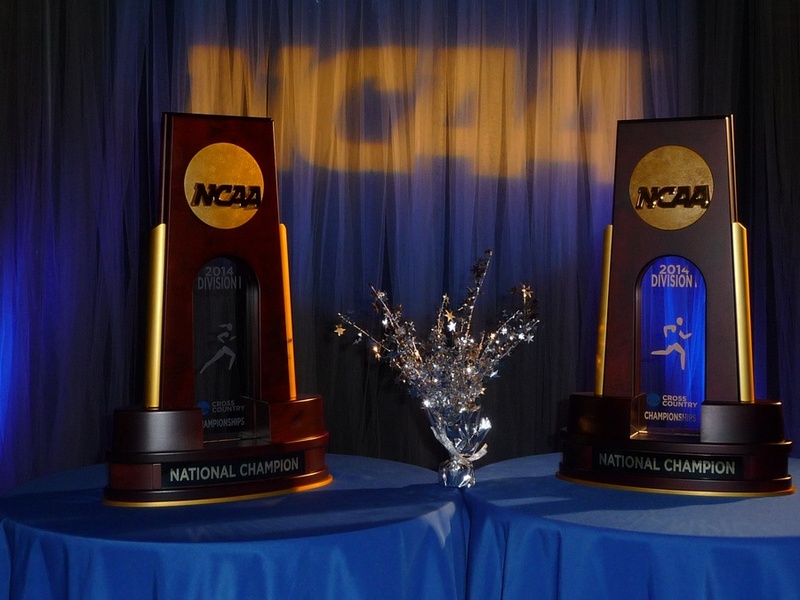 LRC The LetsRun Nation Has Spoken – Vote Tallies From 2014 NCAA XC Prediction Contest The biggest surprise is that Kate Avery has the most first place votes but is only third overall as “American bias” has come through big time. 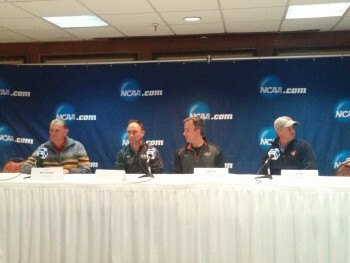 LRC The Coaches Praise Colorado, Futsum Prays For Rain And Chris Fox Explains Syracuse’s Rise: Six Takeaways From The Men’s Press Conference With the race mere hours away, we pass on what we learned this afternoon, where it was a total love-fest for Chris Lear and Mark Wetmore. 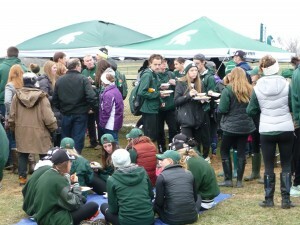 LRC Michigan State Not Feeling The Pressure, Emma Bates Is Happy With Her Season, Pre-Race Parties Are Good And Bad: 10 Takeaways From The Women’s Press Conference 4 leading ladies and coaches shared their wisdom. 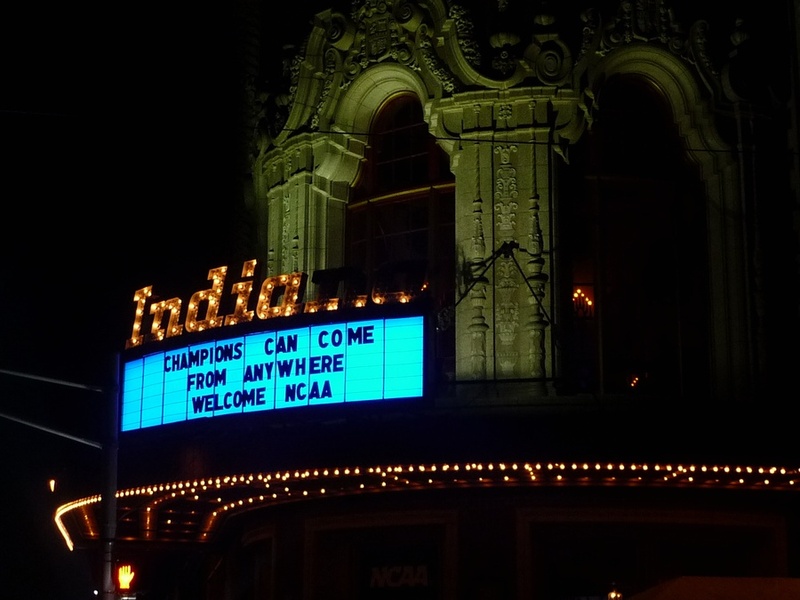 LRC Five Things We Learned In Terre Haute On Thursday – The Course Is Fast, Some Coaches Have No Fun, McFarland USA Is A Winner, And Syracuse Is Here We are on the ground and give you the inside scoop, including a mini review of Disney’s new XC movie, McFarland USA. *MB: Chicken or egg? 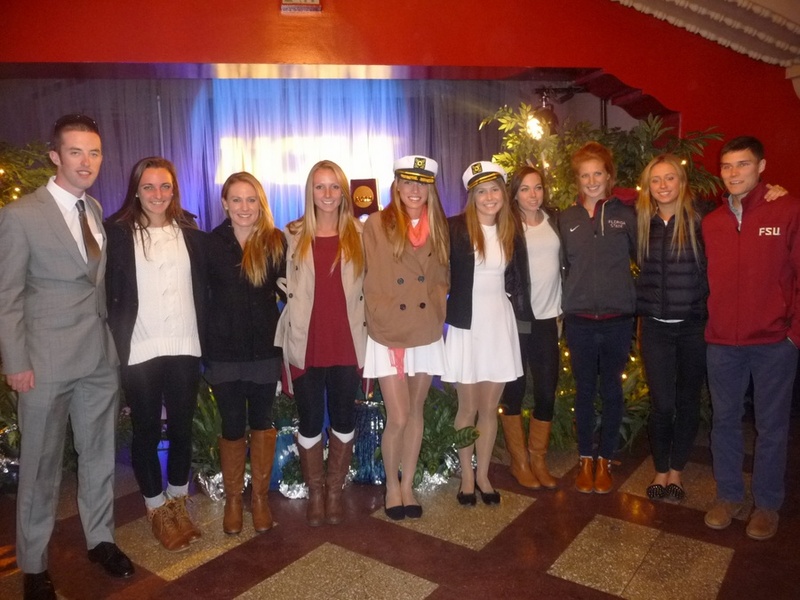 Wetmore says Goucher was crucial to Colorado’s success. Goucher says Wetmore was key to his success. Who’s right? IAAF Approve Plan To Have Morning Finals At Rio 2016 – First Time In 28 Years The goal is to maximize international coverage. The women’s 10,000m will be one of the events in the AM. Columnist On Why The IAAF Gave 2019 Worlds To Doha Despite Human Rights, Heat, And Other Issues See the headline above. A Look At IOC President Thomas Bach’s Proposed Olympic Changes In His “Agenda 2020” Plan Allowing joint bids from multiple cities and a non-discrimination language for sexual orientation are some of his suggestions. Boston Globe: What Are The Costs And Benefits Of A Boston Olympics? The principal concern is obviously money. BBC: Will The Third Time Be The Charm For Doha’s Olympic Bid? 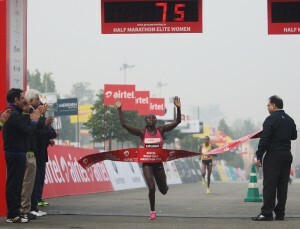 This Weekend: Incredible Field For Airtel Delhi Half Marathon Announced: 4 Sub-59 Guys, 6 At 59:02 Or Better Will Race Paula Radcliffe will be on hand – as a VIP, not racer. *MB: Could Galen Rupp be going for the WR in the indoor 2 mile again? February: Florence Kiplagat Will Return To Barcelona Half, Wanting To Break Her Own 65:12 WR Not happy to have set the WR last year, she now is going back, hoping to be the first woman under 65. The Guardian Looks At Sport’s “Semi-Pros” Who Juggle The Challenge Of Training At An Elite Level While Working To Pay The Bills Melissa Breen broke the Australia 100 record, but still works as a coach to fund her training. These athletes definitely deserve our respect, but not our sympathy. Not everyone gets to make big bucks chasing their dream. Molly Huddle WHOA shirt WANTED!! What factors did you consider when choosing a college, and what factors do you wish you had considered? terrible at 5k but ok at marathon? Do girls/women ever NOT like receiving flowers? BBC Video: Are Jungle Marathons The World’s Most Dangerous Race? The race goes through Brazil’s Amazon Rainforest and charges an $3,140 entry fee. For all that, you get to deal with heat, humidity, water crossings, and dangerous wildlife that could kill you. Sounds fun. Research Finds Running Keeps Your Brain Healthy As You Age Study says running more than 15.3 miles per week can lower risk of Alzheimer’s disease mortality by 40 percent. Pros Try Spikes’ Stopwatch Challenge: See How Close You Can Get To Counting Usain Bolt’s 9.58 100m WR Genzebe Dibaba was pretty far off with 7.33 seconds. 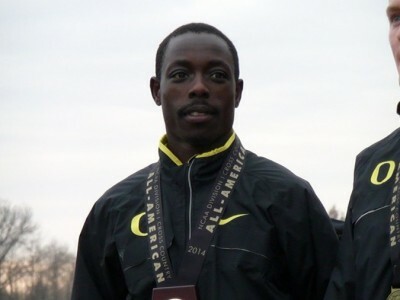 Nijel Amos was the closest pro with 9.71. 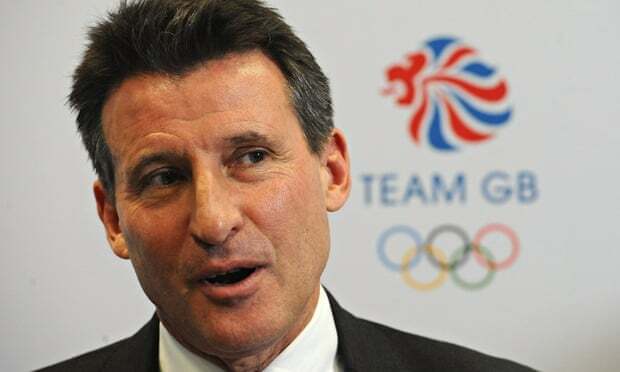 Seb Coe Officially Announces He Will Run For IAAF President Lamine Diack, president since 1999, stands down next year and Coe’s only expected challenger is fellow IAAF vice-president Sergey Bubka. … Because He’s So Popular In Kenya: Court Ruling Expected In Kenya Federation Dispute Next Week There is open rebellion within AK and 14 out 16 branches want him out. That’s One Way To Burn Off Your Thanksgiving Dinner: Florida High School Coach Walking 250 Miles To Raise Money For Track Improvements He expects to raise more than $100,000. 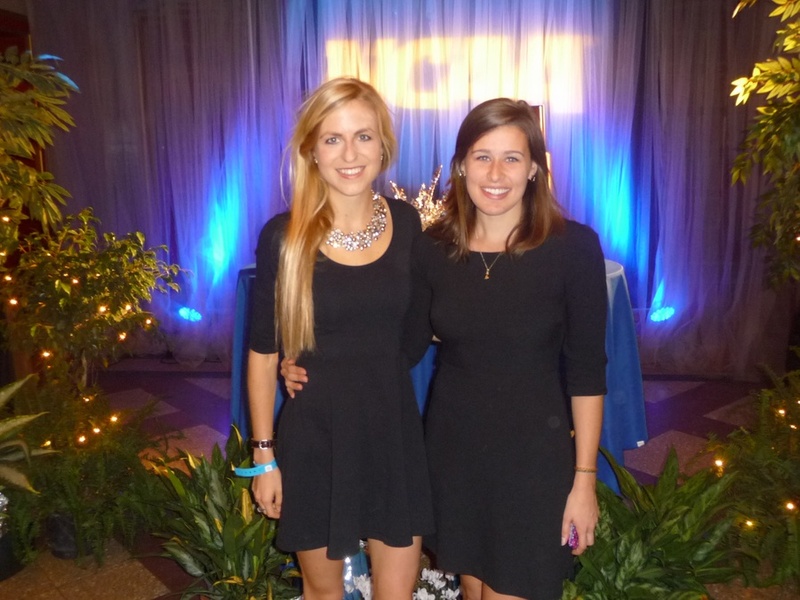 For your holiday reading pleasure, we've got a Thanksgiving Week That Was. We tell you how damn hot Doha will be for Worlds, give praise to Max King, talk about Kiprop running 3:24, discuss Nigel Amos's "coach," and break down the NCAA XC regions. 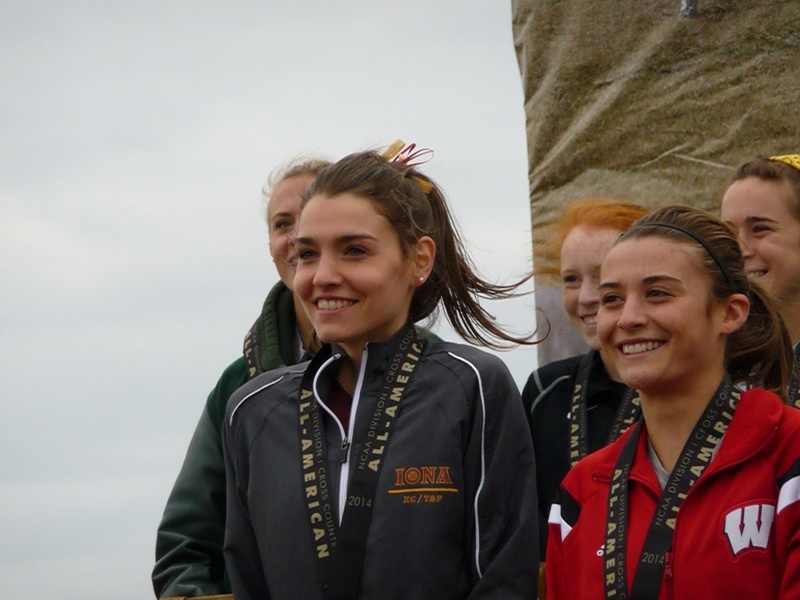 LRCHow Are Podium NCAA Cross-Country Teams Built? Are you an old timer who wants colleges to only recruit Americans and not accept transfers? That's usually a losing proposition. We look at how the NCAA championships teams are built. RegisterGuard: There Were Millions Of Dollars Backing Eugene’s Bid For The World Championships The UO Foundation pledged to provide financial guarantees against any losses and there were plans to ask the state Legislature to contribute $40 million to help fund the event. Bloomberg.com: Qatar’s Late $37 Million Prompts Track and Field Concerns Writer looks at the matter of big money and bidding for sporting events. 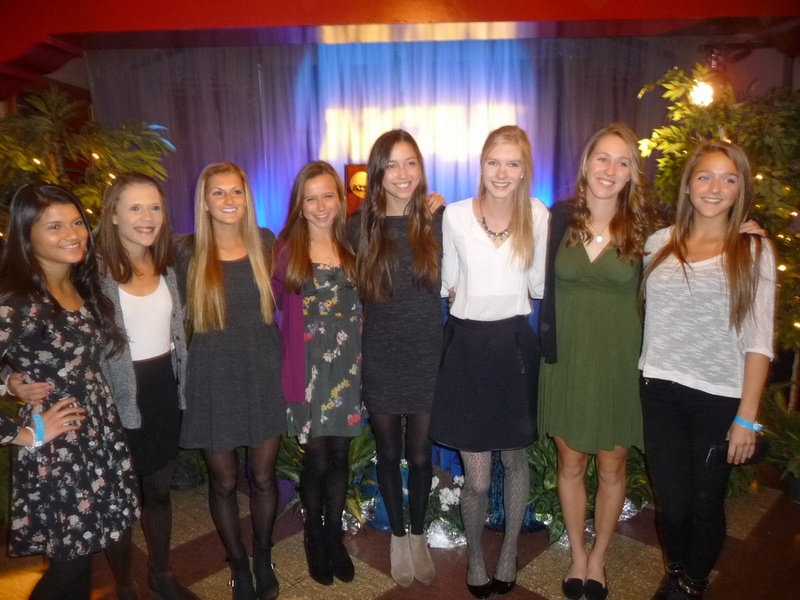 LRC Who Over/Underachieved At The 2014 NCAA XC Championships? 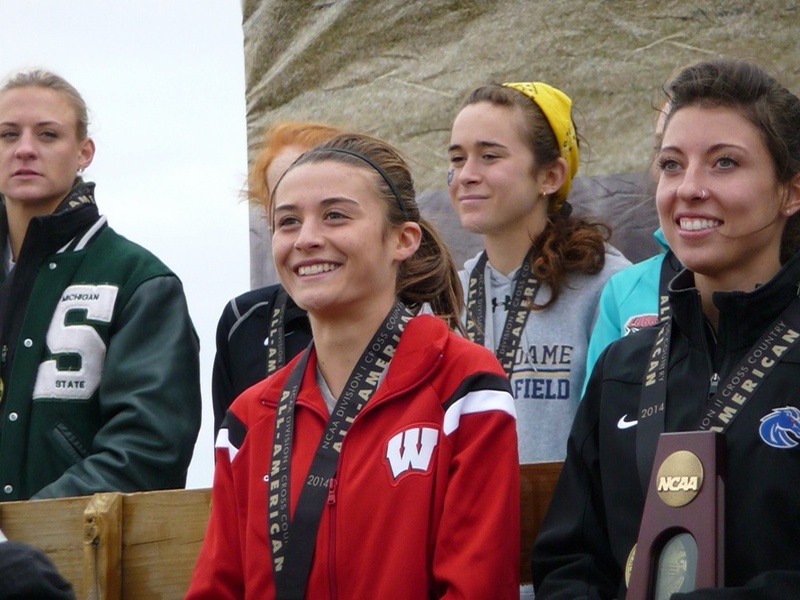 List And Analysis Of 2014 DI XC All-Americans Colorado and Stanford men had the most All-Americans with five each while Michigan State women had four. PAC-12 men and Big Ten women were the most dominant conferences. Sportsmanship At NCAAs As Teammate And Opponent Help Baylor Runner Finish The runner who received aid was DQed; thankfully the other two were not. *MB: Collapsing at the 6km XC finish? A new thing? Theatrics or real exhaustion? 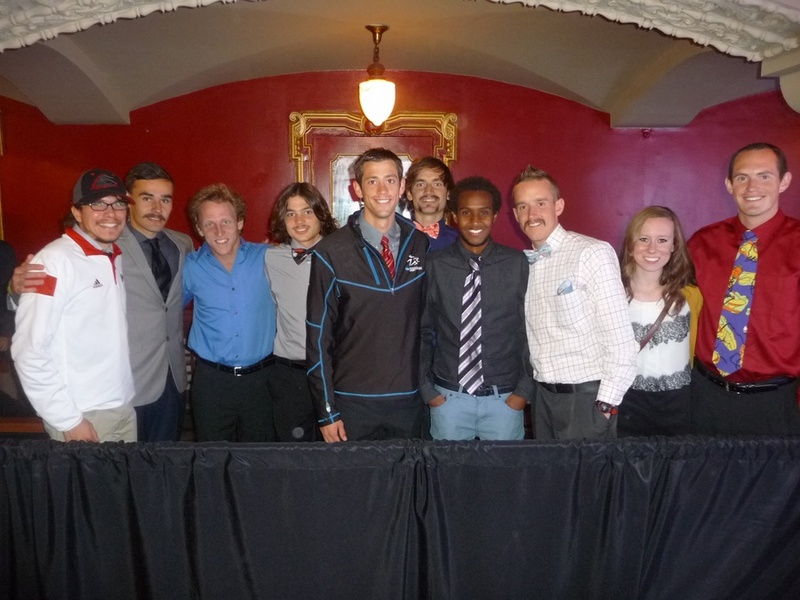 RRW Colorado Men, Edward Cheserek Repeat Recap and results. After a slow opening 8k, Edward Cheserek crushed the field the final 2km. He was followed by his teammate Eric Jenkins but they were no match for Mark Wetmore‘s Colorado Buffaloes. 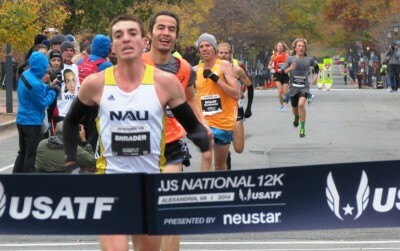 LRC 8 Thoughts On Men’s Race, Including How Great Is This CU Team? We break down Colorado’s repeat and compare them to the 2001 CU, 2003 Stanford and 2005 Wisconsin, NCAA all-time great championship teams. We look at the Oregon 1-2 punch, Stanford’s improvement, and how tough it is for true frosh. 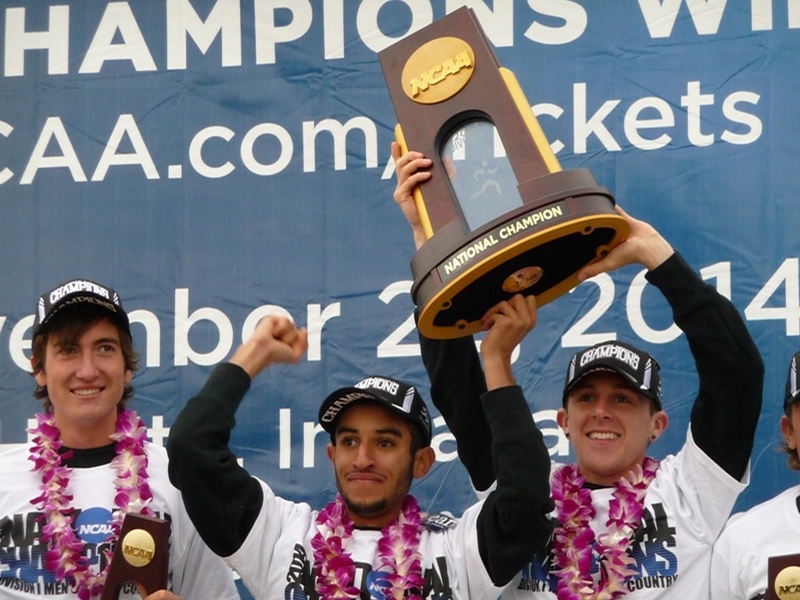 LIVE COVERAGE OF NCAA XC Champs Relive the NCAA Champs. GB Pentathlon Champ Who Won $78,376 On A $7 Bet Will Use Winnings To Fund Her Athletics Career Before this, Karla Drew was struggling financially as a student-athlete, but now she’ll be able to afford things like overseas races and training camps. Greg Rutherford Says He Would Back A Boycott Of Doha 2019 Jo Pavey also said that she would “feel uncomfortable” competing in Doha. Q&A With UK 400 Runner Matt Hudson-Smith, Who Went From 48.76 To 44.75 This Year Hudson-Smith says he is really lazy and could spend all day in bed. Last year his schedule was up at 1PM, shower, breakfast, practice and then bed. Molly Huddle got another big win to bring her prize money total to $128,000 in 2014, collegian Brian Shrader (born at 7,000 feet of altitude) turned heads by beating the pros at the .US 12k Champs, Priscah Jeptoo showed she's on her way back, and Duke did not show anything. Marathoner Guor Maker Hoping To Represent South Sudan At The 2016 Olympics Maker ran at London 2012 as an “Independent Olympic Athlete” and is now a US citizen, but hopes South Sudan will be recognized by the IOC for 2016. 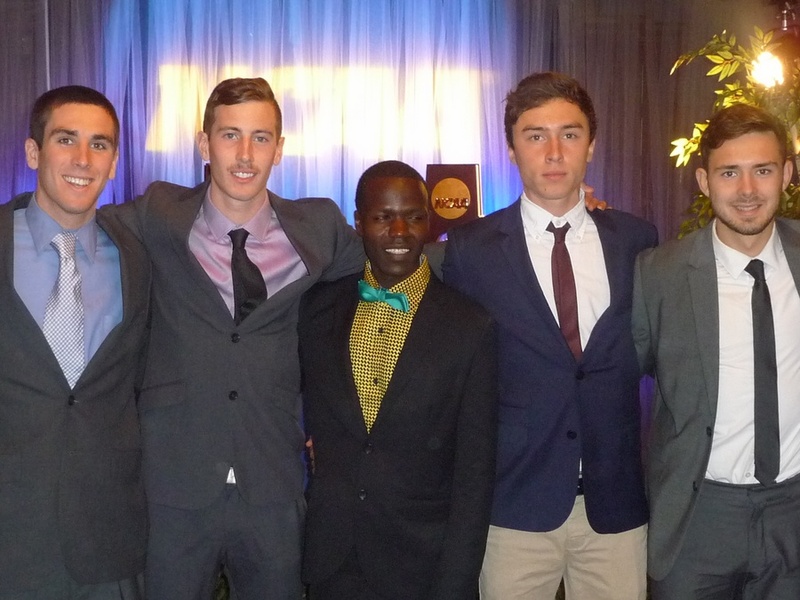 In the meantime, he is seeking support for himself and other South Sudan runners via crowdfunding. From The Weekend: Half Marathon On Monterey Bay Won By Jacob Chemtai (1:03:22) And Sarah Kiptoo (1:13:40) Chemtai won a close race over Nelson Oyugi (1:03:31). Guor Maker ran 1:05:52. IAAF Announces New World Championship Qualification Process For Worlds 2015 There no longer is a “B” standard. In all events but the 5,000, 10,000 and marathon, there will be a descending order list so you can go without the “A” qualifying time. 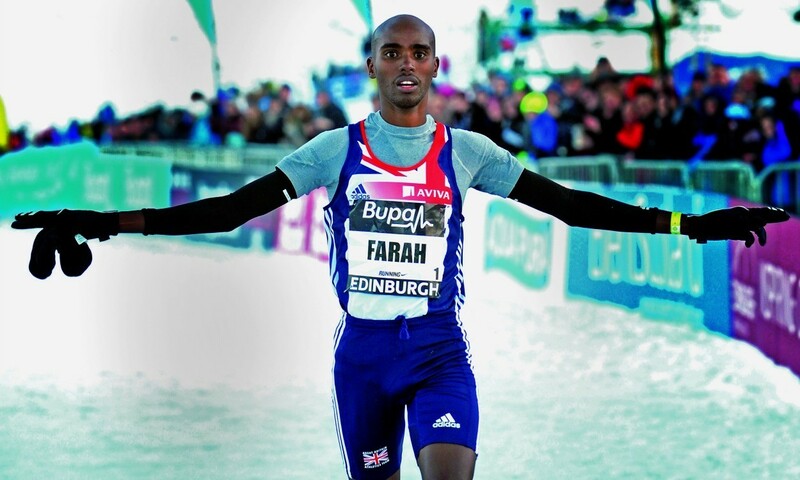 *MB: Big Win For “The Mile’ – Mile times can now be used to qualify for Worlds!! The times are 3:53.3 and 4:25.2. Important Read Alan Abrahamson: A Two-Vote Loss Is Reason For Optimism He gives high praise to Lananna, Siegel and Hightower. Eugene Doesn’t Have This: IAAF Officials Will Stay In 5-Star Mandarin Oriental In Doha – The Luxury Chain Goes For More Than $500 A NIght In DC, More Than $800 In NYC. Or This: Kenya Govt. Sets Aside $8.9 Million For 2017 World Youths Critics who say Doha bought the bid fail to realize that governments all over the world pay for sports, even in the US. Lananna: “Of course I’m disappointed. We made a fantastic bid. We had a fantastic team that came with us.” No decision on 2021 yet. Doha lost out for 2017 and won 2019. Alan Abrahamson: High Jumper Mutaz Essa Barshim Was the Trump Card For Doha Alan was super-impressed with the high jumper’s presentation. We still think $ and hotels won out. Many in the IAAF want to stay in VIP hotels. 400 World Champ Christine Ohuruogu Very Concerned About The Heat In Doha She’s probably retiring in 2017, but is worried about other athletes’ safety. Caster Semenya Talks About Her Coaching Change To Jean Verster And Says She Hopes To Be Race Ready By February Or March Semenya says that her former coach, Maria Mutola, told her she wouldn’t have time to coach Semenya because she was busy with other business. Meb Keflezighi And Ryan Hall Will Lead Relay Teams For Dallas Mavericks And Texas Rangers At Dallas Marathon Meb and Hall will run the first leg of the relay, Meb for the Mavericks and Hall for the Rangers. RRW: Honolulu Marathon Boasts Best-Ever Elite Fields With Six Sub-2:08 Men Gilbert Chepkwony defends his title against 2:04:48 man Yamane Adhane. Commonwealth Games 10,000 champ Joyce Chepkirui is the favorite for the women despite bombing in her debut with 2:35. 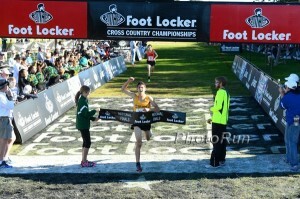 Max King’s 100K World Championship Victory Was Also A US Record 6:27:43 (6:14 pace for the 62+ mile race). CBA Wins NJ Meet Of Champions Red Bank Catholic won the girl’s race. WADA Pledges To “Work Closely” With National Anti-Doping Organizations On Implementation Of New Anti-Doping Code This was in after the Netherlands saying they’d have to cut the number of tests to afford the new advanced ones. WADA responded that the smarter testing meant they needed less testing. Boston Marathon Bomber’s Lawyers Denied Access To Prosecutor Info Ahead Of Trial Which Starts In January Dzhokhar Tsarnaev has pleaded not guilty and his defense is trying to argue that he was coerced by his older brother, who was killed after the Boston bombing. Former World 10,000 Bronze Medalist Wude Ayalew (34:04) And 2:07 Marathoner Azmeraw Bekele (30:12) Win Great Ethiopian Run 10K In Addis Ababa UK’s Olympic triathlon champion Alastair Brownlee also ran, finishing in around 40 minutes. Dan Vassallo Has His “Dream Come True” By Winning The Philadelphia Marathon In 2:17:27 To Qualify For The US Olympic Marathon Trials Leonora Petrina won the women’s race with a 2:39:59 debut. Kiprono Kurgat (1:03:58) and Etaferahu Temesgen (1:12:49) won the half. Japan Weekend Road Roundup: Yuki Kawauchi Wins Fukuchiyama Marathon In 2:12:59 At Sanyo Ladies Road Race Half Marathon, Japan’s Asami Furuse beat UK’s Charlotte Purdue (2nd) and US’s Mattie Suver (4th). 10,000m Collegiate Time Trial Meet In Japan Had 16 Men’s Heats And One Women’s In the fastest men’s heat Hiroto Inoue ran 28:19.28 to win over Takuya Fujikawa (28:20.31). Sub-2:03 Is Official: Dennis Kimetto’s 2:02:57 Marathon WR Ratified By The IAAF So, too, was Emmanuel Mutai‘s 30K record. Oscar Pistorius’ Birthday Visit Bent The Jail Rules His brother and sister visited him for almost 2 hours for his 28th birthday on Saturday. 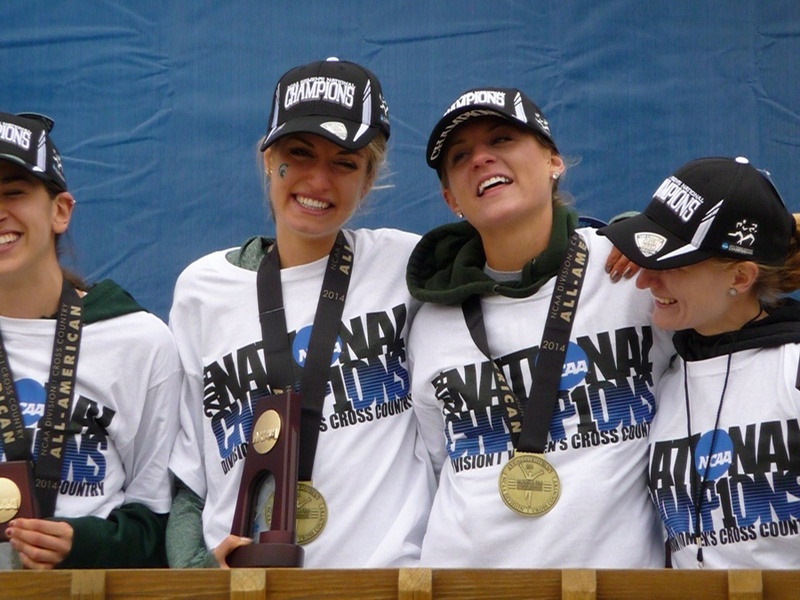 RRW Kate Avery, Michigan State Run Away With NCAA Titles There was no doubt about it. 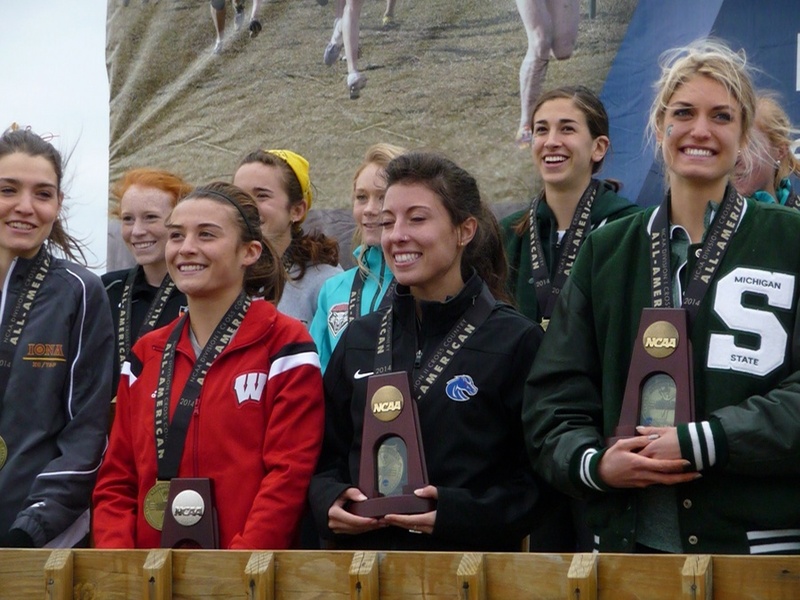 Michigan State was the best team and Kate Avery of Iona the best runner at the 2014 NCAAs. Recap with results. 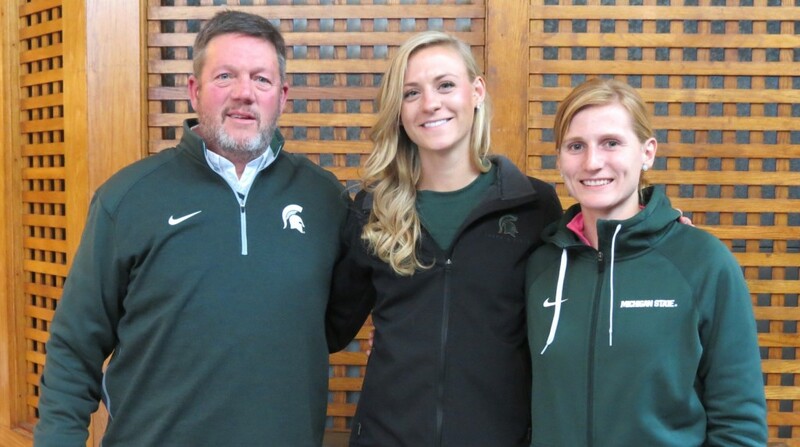 LRC 8 Thoughts On The Women’s NCAA XC Championships: Michigan State And Walt Drenth Get It Done We give Walt Drenth, Michigan State and Kate Avery the praise they deserve, plus talk Sarah Disanza, Emma Bates, Providence, and freshmen. Ridiculously Deep Race In Delhi: WR Holder Florence Kiplagat Runs 70:04 To Win Delhi Half Marathon As Top Six Places Separated By 6 Seconds Kiplagat held off world half champ Gladys Cherono by 1 second. The men’s race was stacked as well as the top 9 all broke the one hour mark. Ethiopia’s Guye Adola ran 59:06 to beat world half champ Geoffrey Kipsang (Kamworor). 11 seconds separated the top 5 spots. IAAF Weekend XC Roundup: 3-Time World Champ Vivian Cheruiyot Returns From Pregnancy With 4th Place Finish In Kenya XC Race Alice Aprot Nawowuna, the sister of former World XC champ Joseph Ebuya won as did Joseph Kitur. In Spain, World 5,000 silver medalist Mercy Cherono and Uganda’s Timothy Toroitich won. World XC champ Japhet Korir was over a minute back from Toroitich in 6th. Matt Llano 65:00, Ryan Hall 66:13, Abdi 68:08 In Costa Rica Half Marathon Sara Hall won the women’s race. Fionnuala Britton Wins Her 5th Irish Inter-Counties Cross-Country Championship Paul Pollock won the men’s race. Q&A: Alabama Man Wins Krispy Kreme Challenge Race For The Second Time Two miles out, 12 doughnuts, 2 miles back. Eric Charette has the course record at 28:53. Australian Olympic Discus Finalist Lisa Marie Vizaniari Wins WIBA Heavyweight Boxing Title She won the 1990 Commonwealth Games and was 8th at the 1996 and 2000 Olympics. France’s Renaud Lavillenie And New Zealand’s Valerie Adams Crowned IAAF World Athletes Of The Year Lavillenie broke Sergey Bubka‘s long standing pole vault WR while Adams continued her unbeaten streak to 56. A Look Back At Renaud Lavillenie’s And Valerie Adams’ Award Winning Year It was the first time a male PVer or female thrower won the award. Recommended Read: Profile And Interview With USADA Head Travis Tygart, The Man Who Brought Down Lance Armstrong Tygart gives a really good explanation for why anti-doping is so important and talks about how he’s been able to retain his love for sport despite having to deal with the dirty side of it. RW: Can Races Get Prize Money Back After Winners Fail Drug Tests? Looking at the case of Liliya Shobukhova, who won over $1 million from WMM races, hypothetically she has to pay it back, but recovering money in an overseas jurisdiction is very difficult. Improvements To New Anti-Doping Code May Lead To Cuts In The Number Of Tests In The Netherlands And Other Countries More advanced testing is more expensive, which means they can afford to do less of them. Genzebe Dibaba Is Going For The 5,000 World Indoor Record And 5,000 World Title In 2015 Genzebe’s sister Anna translated for her and they both spoke on the Dibaba sister running legacy. Hicham El Guerrouj Says The Only Athlete He Can See Breaking His 1,500 WR Is Asbel Kiprop El Guerrouj is a bit critical of Kiprop’s racing, though, saying he tries to do too much and needs to prioritize – winning titles or breaking records. Dennis Kimetto Talks About How Poverty Inspired Him To Become A Runner Once a poor farmer, now he’s won more than $100,000 in a single race for his WR in Berlin. Looking ahead, Kimetto thinks the sub-2 hour marathon is possible. Valerie Adams Calls For Lifetime Bans For First Time Drug Cheats: “Once a cheater, always a cheater.” Adams was hurt by dopers in two Olympics as a doper made the SP final over her in 2004 and then doper Nadzeya Ostapchuk initially got gold over her in 2012. Travis Tygart Gives Talk In Ireland, Defending Giving Reduced Bans For Cooperation Tygart offered Lance Armstrong six months but he wouldn’t come clean. Recommend Read Great Article On What Lynsey Sharp Had To Overcome This Year To Win Commonwealth Silver Trivia fact – her father won a 4 x 100 medal the last time CGs were held in Scotland. British 5,500-Point Heptathlete Karla Drew Wins $78,376 (£50,000) On £5 Football Bet She correctly picked 10 soccer games in a row. Head Of Russian Racewalking Center, Viktor Kolesnikov, Banned For Four Years After Investigation Into Systematic Doping Russian anti-doping found him in possession of banned substances. At least 17 of his athletes failed drug tests.